Larson lived his childhood amidst drama clubs and music lessons. Larson lived his childhood amidst drama clubs and music lessons. He played the tuba in high school and attended Adelphi University in Garden City, New York. Although he graduated with dreams of becoming an actor, Stephen Sondheim encouraged him to focus on composing. Larson was a Sondheim disciple and his early work suggested his future success. 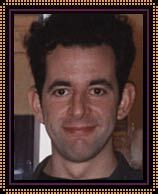 He won the Richard Rodgers Studio Production Award from the American Academy of Arts and Letters for a workshop version of “Rent,” and a Rodgers Development Grant for a futuristic rock musical called “Suburbia.” He also earned a Stephen Sondheim Award from the American Music Theater Festival; composed the eclectic rock-to-ragtime score for a musical called “J.P. Morgan Saves the Nation”; and performed a rock monologue called “Tick, Tick, Boom” at the New York Theater Workshop and other stages. 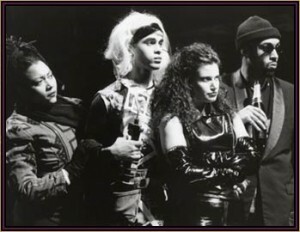 Among the original cast members of "Rent" were Idina Menzel and Jesse L. Martin. Source: Excerpted from NEWSMAKERS 1997, ISSUE 4, Gale Research, © 1997 Gale Research. Reprinted by permission of The Gale Group.